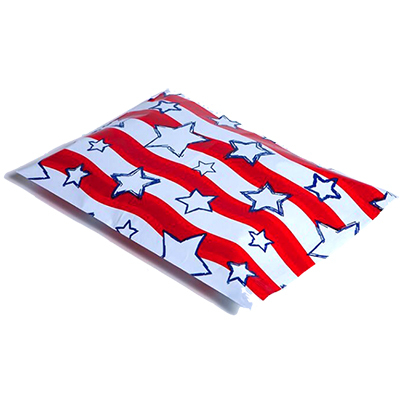 Stars and Stripes Poly Mailers 10x13. Patriotic red, white and blue design covers front and back of mailer. Blue inner lining. 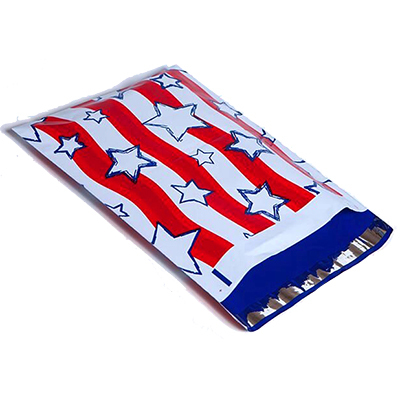 Water and tear resistant, easy self sealing closure. 100% recyclable.